Wasn’t really sure what to expect from this movie. I just hoped it was good. It did keep my interest up. But it’s definitely not a conventional ‘old style’ Western. At times it almost seems like a stream of disjointed surrealistic vignettes – some violent – some humorous. I wasn’t surprised by the ending. 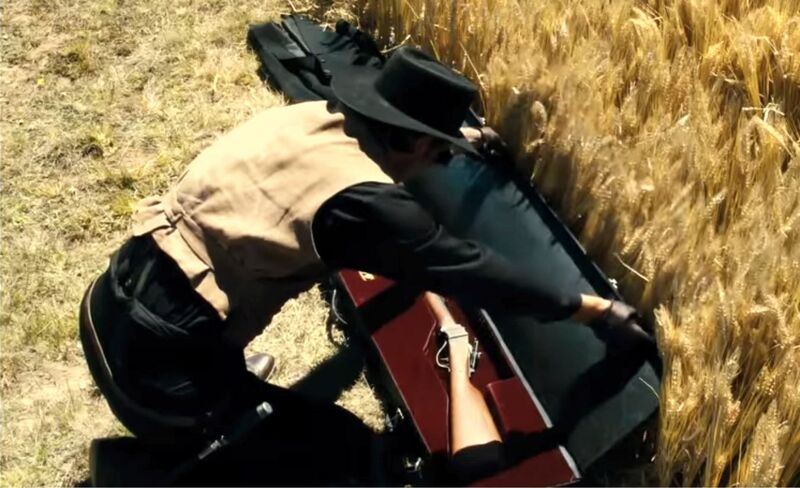 One thing I did notice though, was an unusual weapon that used in one scene. 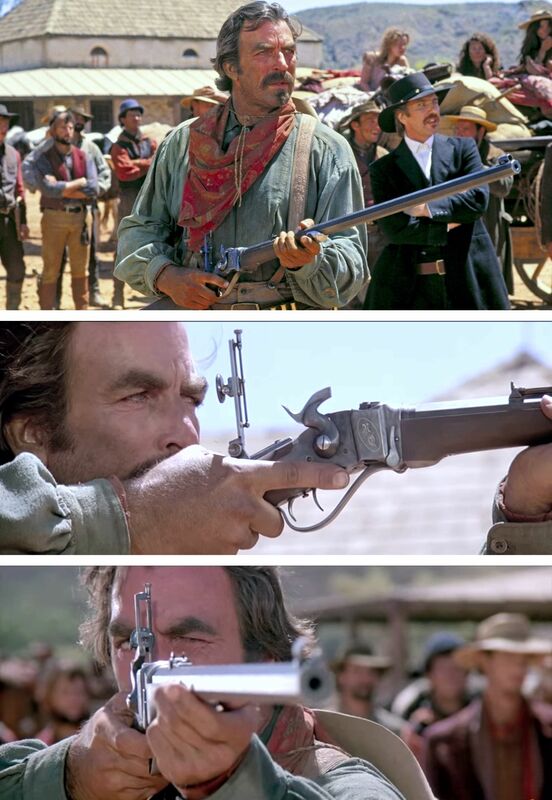 A particular rifle that I recognized right away – from one of My Favorite Westerns. It’s used by a bounty hunter in one of the concluding scenes: Below: Do you recognize it? 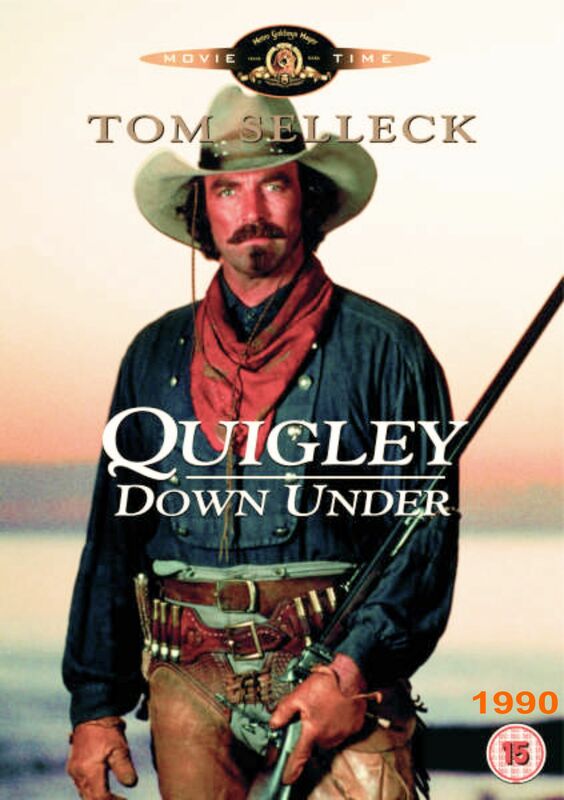 You may not recall it’s Make, but if you’re a Western fan you may well recall where you saw it before. That’s the rifle. So where have we seen this before? 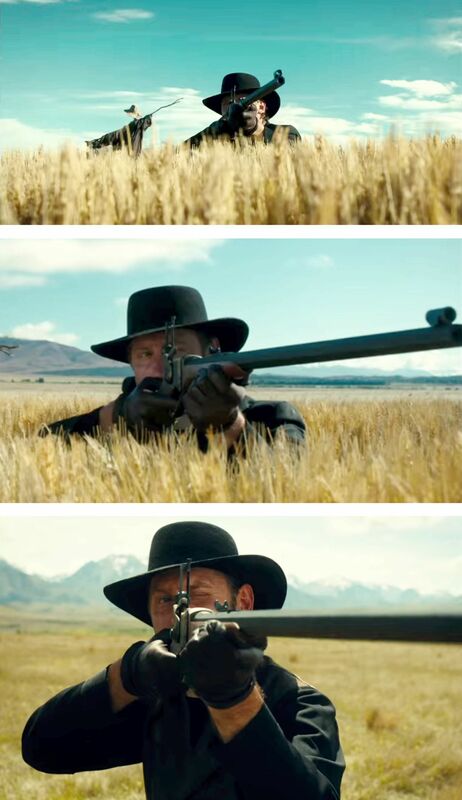 via Slow West … revisited. Except Selleck had his specially made with an extra long barrel because he’s such a big guy, the standard model looked like a toy. Selleck’s a real gun enthusiast, a very good heir to Heston. 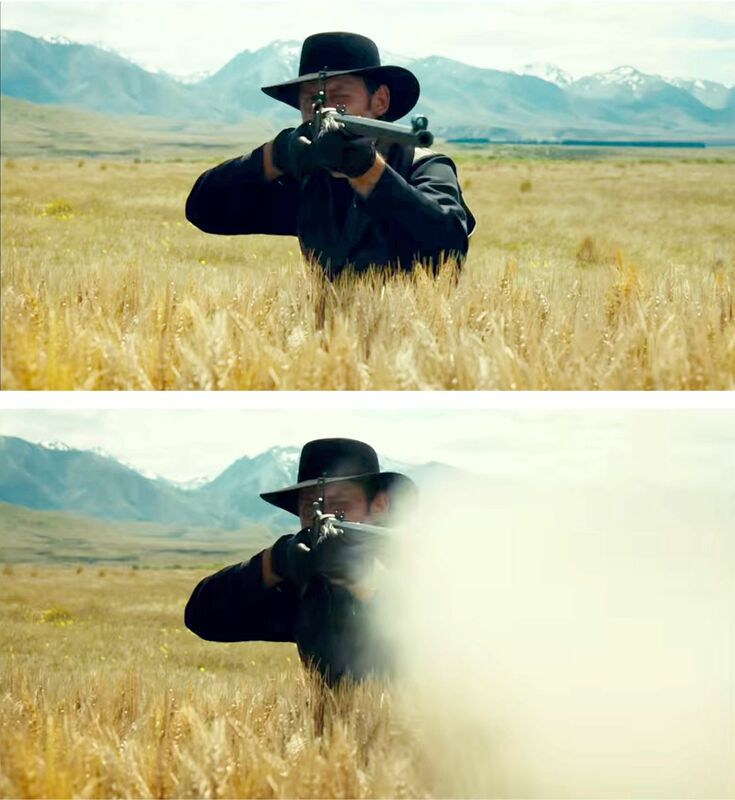 Well … same kind of gun. Modified. Yeah I saw Rosie ambush him on her talk show. He was up to it.